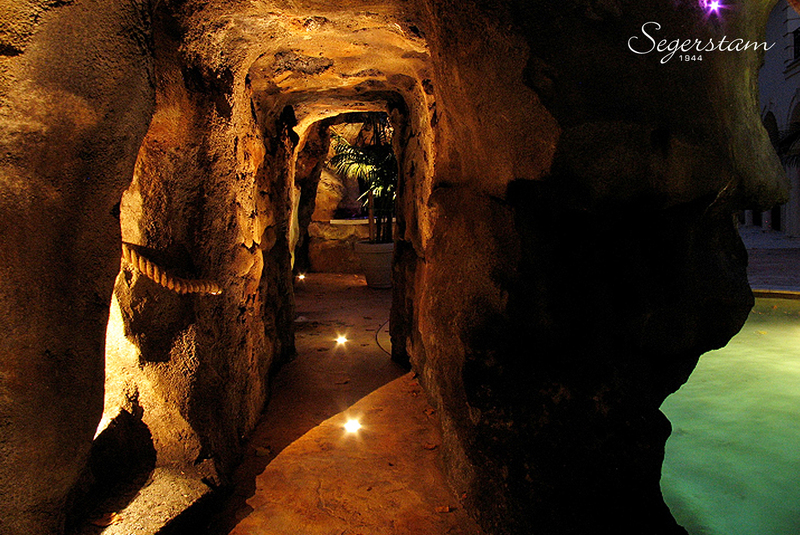 Segerstam has to be seen to be believed – an enchanting series of comfortable caverns with six impressive waterfalls. 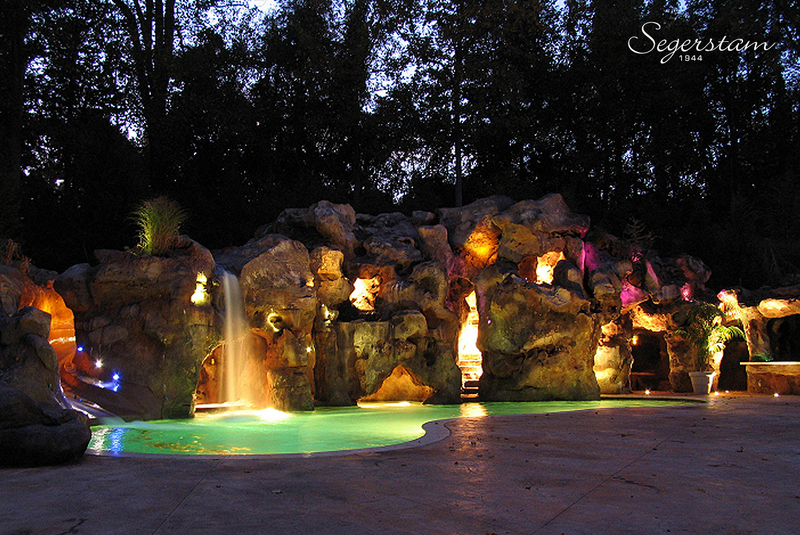 The Mediterranean-influenced outdoor pool balances a sense of exotic mystery with luxury and decadence. 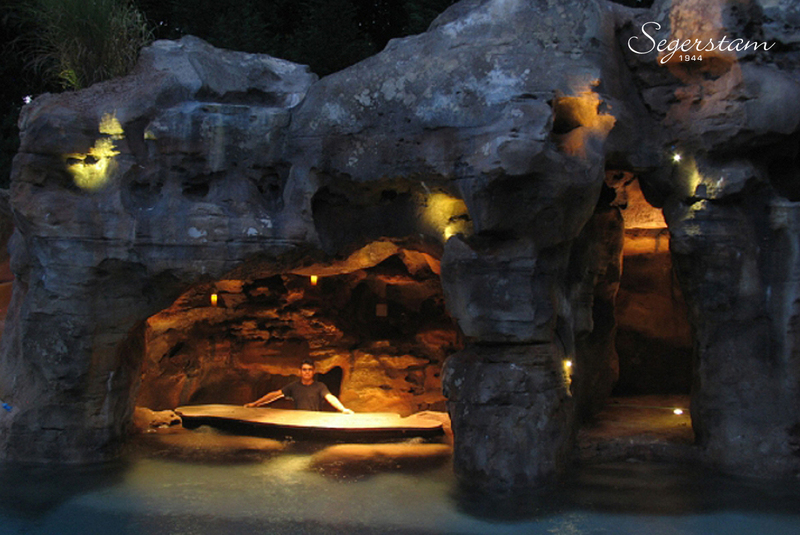 It includes an elevated Jacuzzi spa inside a grotto, a series of sleeping caverns with heated floors, a full service wet-bar and a spacious outdoor commercial kitchen. Our designers and builders relished the challenge of creating this impressive feature, which uses atmospheric lighting and automated climate control. 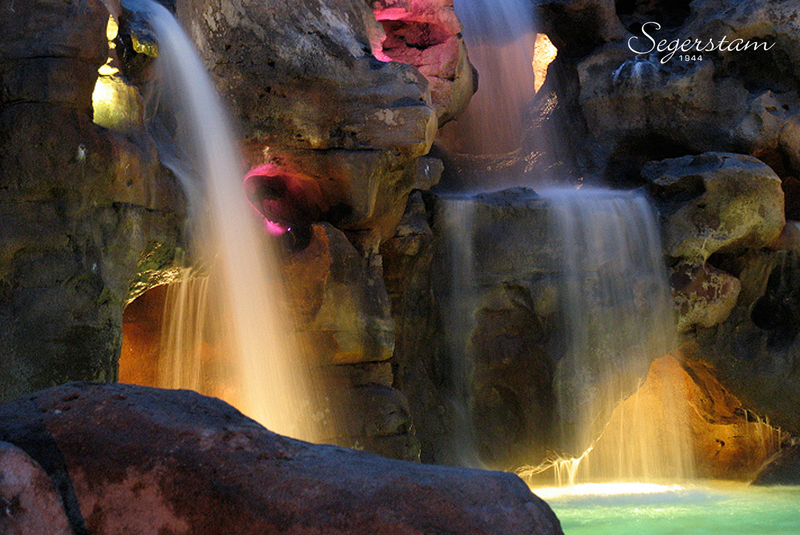 A secluded swim-up bar adds the final touch to this fantasy land of romantic grottoes and warm tranquil waters. Inspired by the quirky Finnish composer Leif Segerstam, this project has as much character as its namesake. 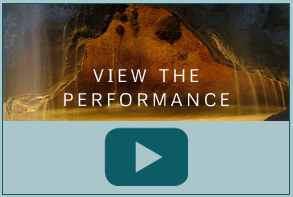 The musical genius is known as being an eccentric maverick and our Segerstam project certainly has a unique larger-than-life personality of its own.